Find out how Kubernetes can simplify the way you configure your clusters and networks * Learn why the Open Container initiative is so important for the way you manage your infrastructure * Discover third-party tools that can enhance your production operations * Explore and use the most persistent storage options for your clusterter * Integrate Kubernetes with continuous delivery tools such as Gulp and Jenkins In Detail Kubernetes is the tool that's pushing the containerization revolution - largely driven by Docker - to another level. If Docker has paved the way for greater agility and control in the way we organize and manage our infrastructure, Kubernetes goes further, by helping you to orchestrate and automate container deployments on a massive scale. Kubernetes really does think big - and it's time you did too! 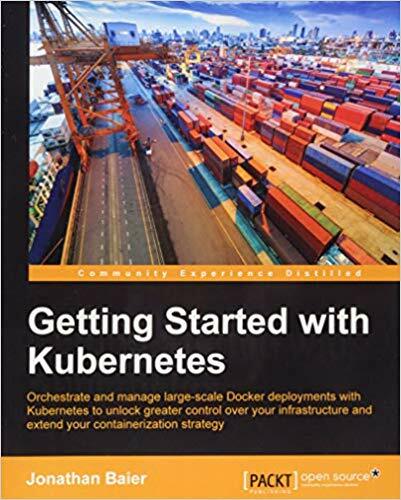 This book will show you how to start doing exactly that, showing you how to extend the opportunities that containerization innovations have brought about in new and even more effective ways. Get started with the basics - explore the fundamental elements of Kubernetes and find out how to install it on your system, before digging a little deeper into Kubernetes core constructs. Find out how to use Kubernetes pods, services, replication controllers, and labels to manage your clusters effectively and learn how to handle networking with Kubernetes. Once you've got to grips with these core components, you'll begin to see how Kubernetes fits into your workflow. From basic updates to integrating Kubernetes with continuous delivery tools such as Jenkins and Gulp, the book demonstrates exactly how Kubernetes will transform the way you work. With further insights on how to install monitoring and security tools, this book provides you with a direct route through Kubernetes - so you can take advantage of it, fast! Style and approach This straightforward guide will help you understand how to move your container applications into production through best practices and step by step walkthroughs tied to real-world operational strategies.